When I first heard about Romanian Point Lace, I just assumed it was another lace making technique. 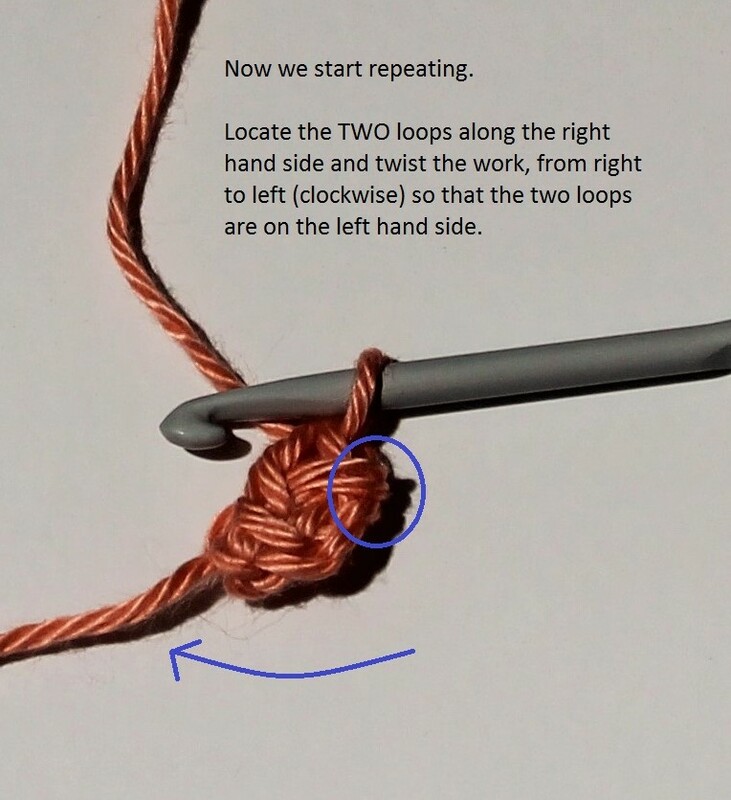 I had no idea that parts of it were actually worked with a crochet hook. Of course, when I discovered this, I just knew I had to try it out! 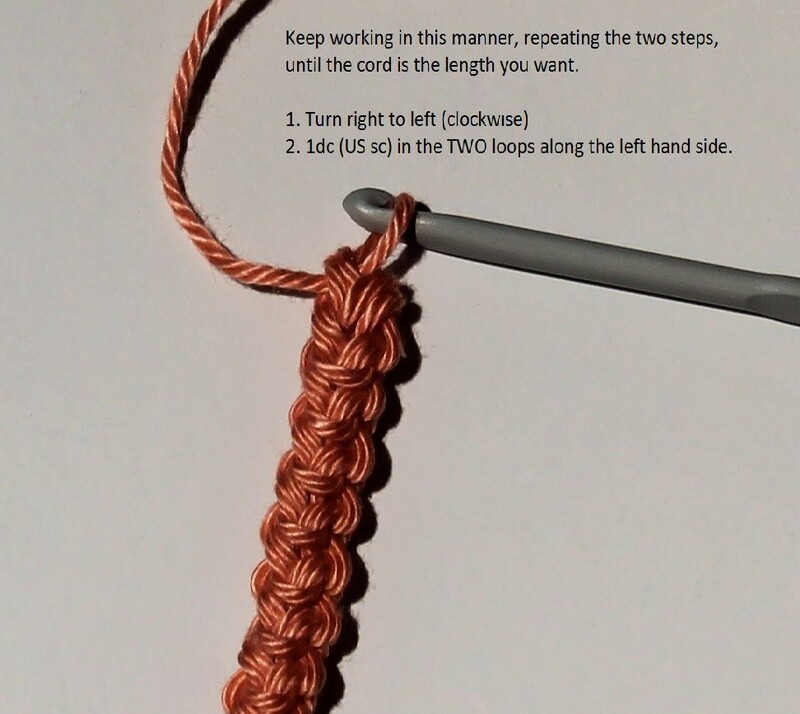 I’m currently having fun experimenting with the cords and braids as I think they can be put to great use with conventional crochet to create jewellery or as edgings. 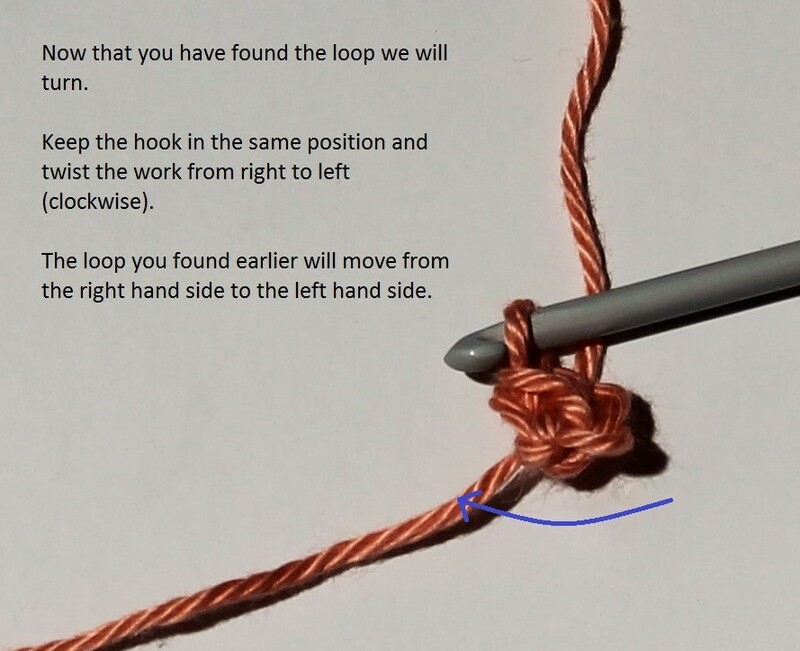 The first, and possibly easiest to demonstrate is the basic cord. 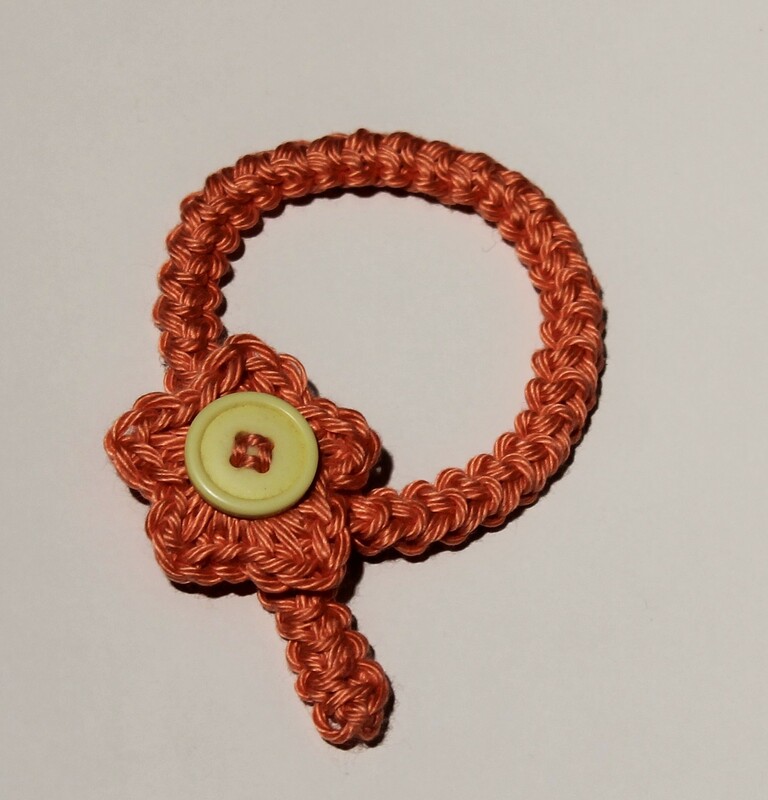 It makes a sturdy flat braid with decorative edges – I’ve used it in this fun kiddies’ bracelet. To make one like this, YOU WILL NEED some smooth cotton yarn, an appropriate sized hook, a small button and a needle for neatening the ends and stitching the button. I’m using Cascade Ultra Pima DK weight yarn and a 3.50 mm hook. 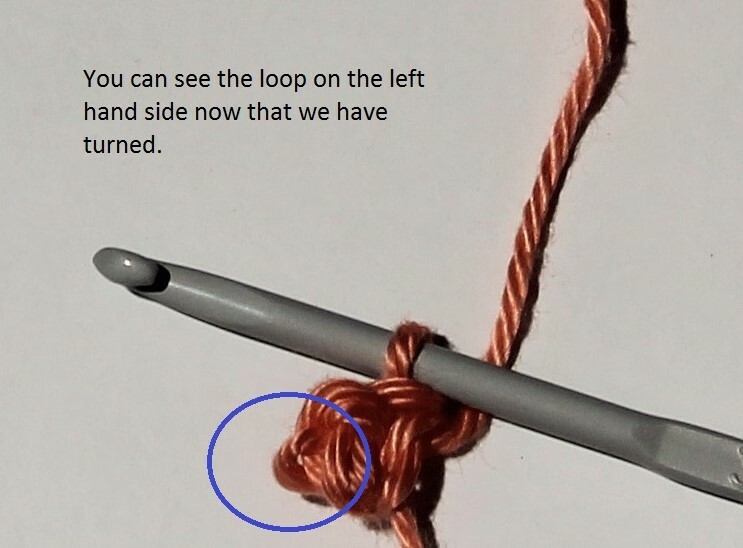 Let’s begin by making the cord – leave about 20 cm (8″) of yarn at the start. You will use this later to attach the button. 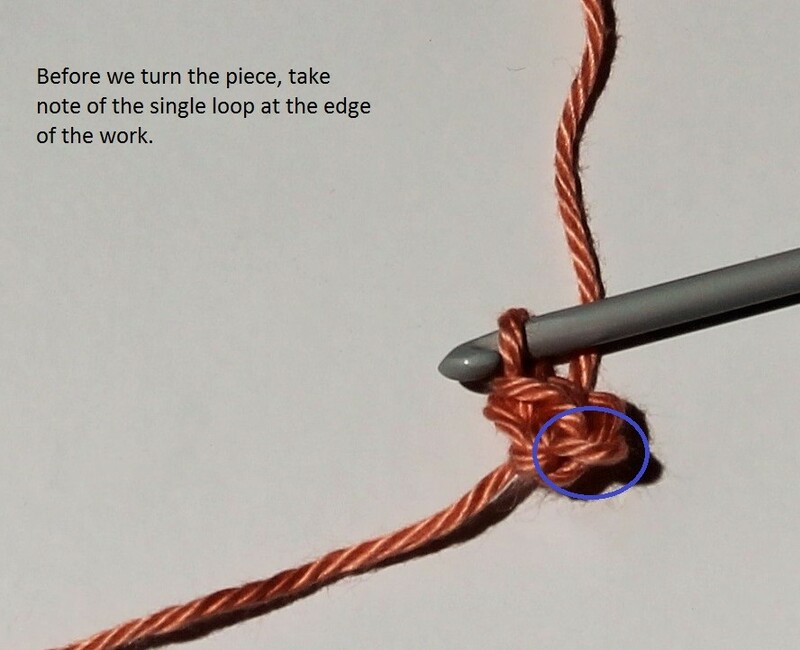 Now you know how to make the cord, keep going until the piece is about 2.5 cm (1″) longer than the wrist circumference. 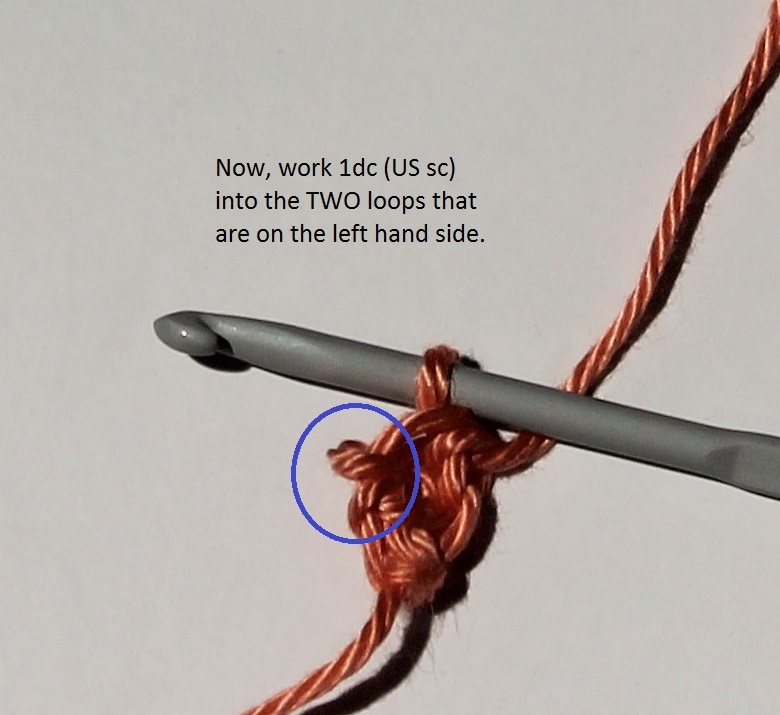 Once the cord is finished, make 5 chain and join with a slip stitch to the top of the cord to form a loop. 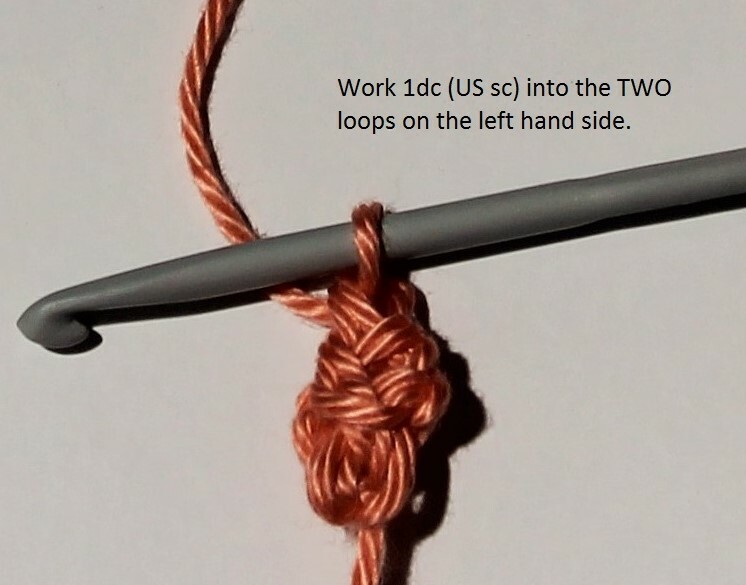 UK terms: Work (1dc, 1htr, 1tr, 1htr, 1dc) 5 times into the loop. 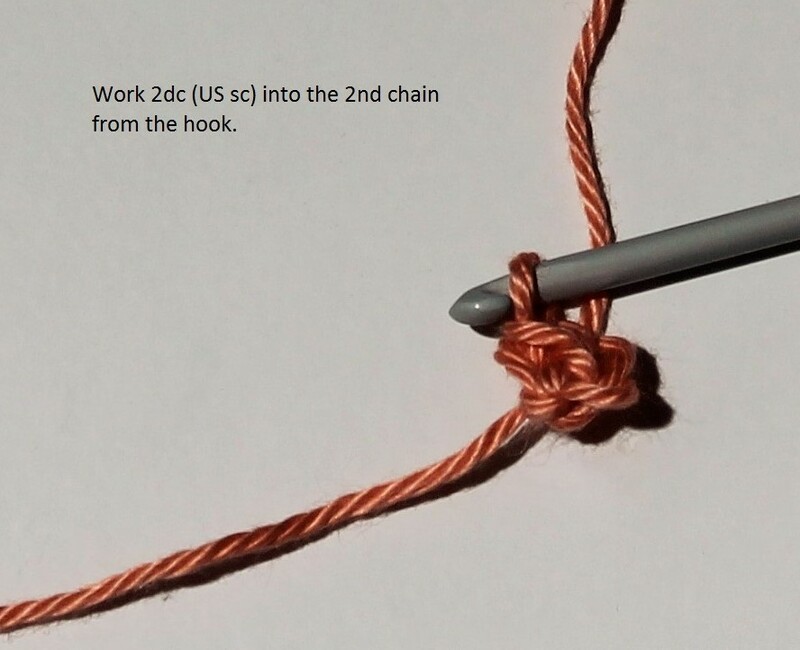 US terms: Work (1sc, 1hdc, 1dc, 1hdc, 1sc) 5 times into the loop. It’ll be a tight squeeze but the stitches will go! Keeping the working yarn over the top of the cord, slip stitch to the first st to join the flower petals together. Select a button that just fits through the opening in the flower. 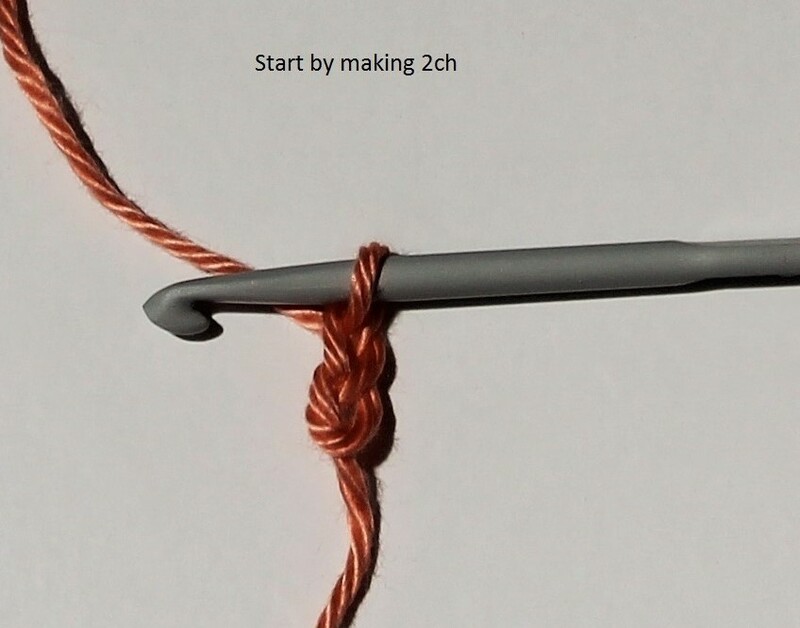 Weave the 20 cm (8″) initial tail tail through the cord about 2.5 cm (1) from the end, and firmly stitch the button in place. 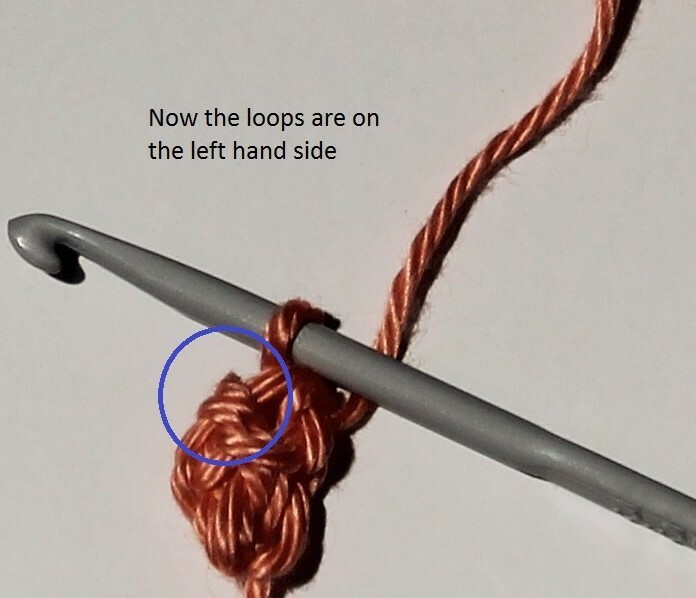 There you have it – Romanian Point Lace Cord used to make a fun children’s bracelet. 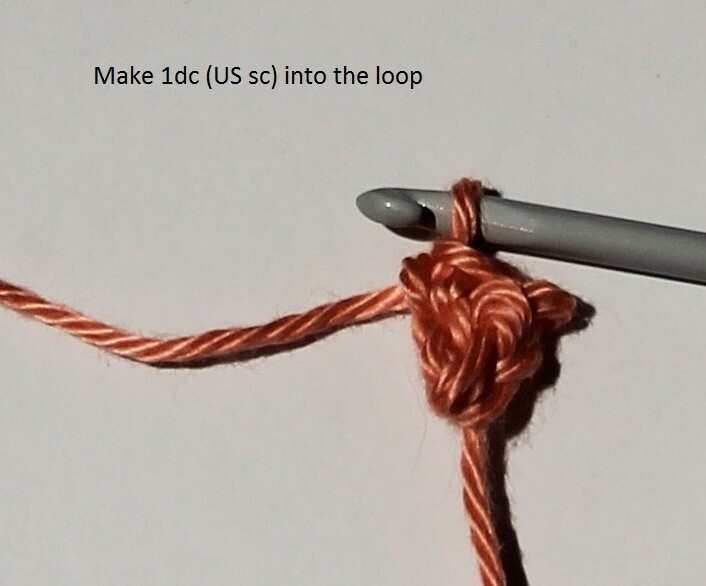 It’s a great way to use up those odd scraps of yarn….give it a go!!! If you have any questions or comments, why not pop over to my Facebook page for a natter! 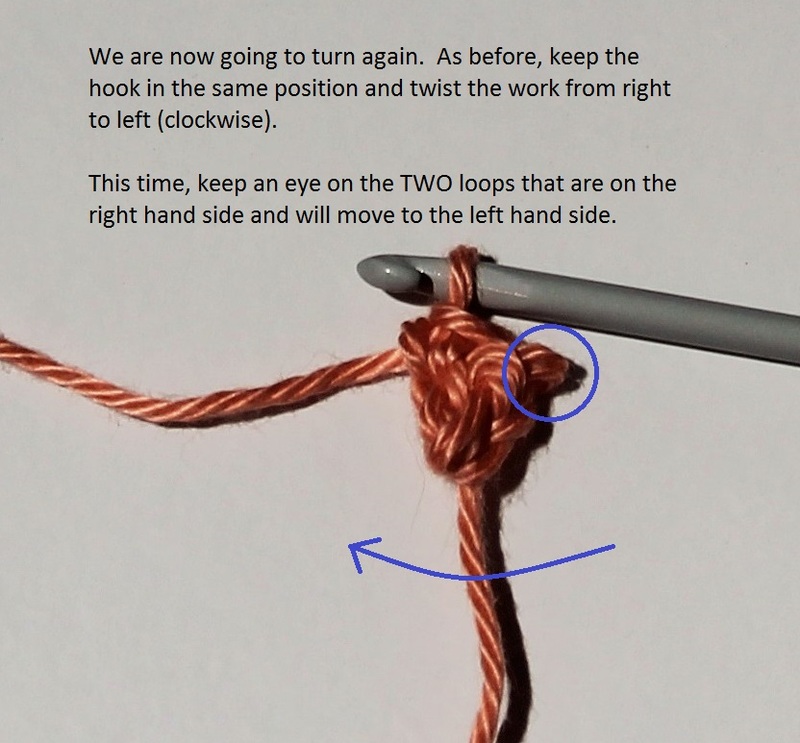 This entry was posted in Blog, Crochet, Tutorials on March 6, 2015 by Thomasina Cummings. Follow Thomasina Cummings's board Thomasina Cummings Designs on Pinterest.